The NHLer entered stage two of the league's substance abuse and behavioural health program. BROSSARD, Que. 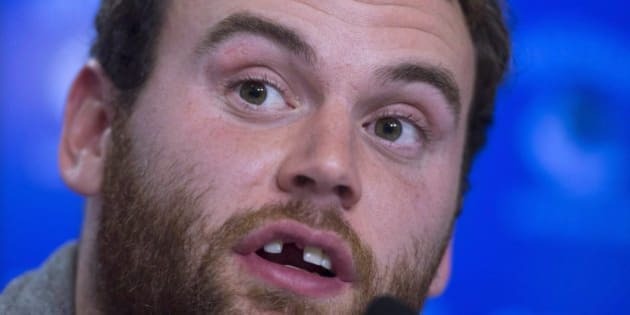 — Montreal Canadiens players are pulling for teammate Zack Kassian, who has entered stage two of the league's substance abuse and behavioural health program. "I sent him a text and he responded,'' defenceman P.K. Subban said Tuesday. "I just told him he has all the support of the guys here. Kassian was placed in the joint NHL-NHL Players' Association program after he was involved in a single-vehicle accident early Sunday morning. The 24-year-old suffered a broken nose and broken left foot, while two women in the vehicle also suffered non-life threatening injuries when the truck they were in hit a tree. Police said Kassian was not the driver. Program doctors put players in stage two, which comes with a suspension without pay, when they feel they have violated conditions of stage one, which involves treatment, counselling and after care. Details of the player's problems are kept confidential. Before the suspension, general manager Marc Bergevin reacted with anger, saying Kassian had shown a "lack of character.'' He said he had spoken "very clearly'' to Kassian after he was acquired in an off-season trade with Vancouver about off-ice behaviour. "Marc Bergevin said it, I'm not going to add anything,'' said coach Michel Therrien.